WELCOME! 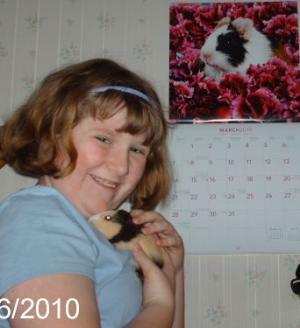 Here you will find some pictures of my daughter, Mea, who is 13 years old, and her baby guinea pig Beauty. I am Christian. I enjoy reading, movies, Science Fiction and Fantasy, and playing on the computer. Naturally I'm partial to roses, and also chocolate. I think that surrounding myself with things that make me smile adds joy to my world. Hope this site brings you a smile, too!